Alexander Bailey gurgles in three different languages. At six weeks old, he may be one of the last European Britons. Ineligible to receive Austrian citizenship until age 10 despite being born in Vienna, his British father and Russian mother hurried to get him a U.K. passport before it was too late. Day 8 on the UK gov. desk at Bloomberg and it’s time to play with the big fish: I’m sent to Westminster to join the ‘lobby’ (read ‘the hardened, cynical political hacks who ghost around Parliament’) and cover the last PMQs before the summer recess. Reflections on the day. Ed Miliband’s tuition fees pledge: is it any good? Labour leader Ed Miliband pledges to cut tuition fees in higher education from £9,000 to £6,000 a year if his party wins the May general election. He wants to free young people from the ‘scourge of debt’ imposed by the Conservative-Liberal Democrat coalition and save the government £20 billion by 2030. Universities Minister Greg Clark calls the proposal ‘incompetent and cobbled-together’ and money saving expert Martin Lewis says the plan is ‘financially illiterate’. Who’s right? Is this a more pragmatic system for funding higher education that would help students and save money? Or is this just populism, a cheap shot at the government that aims to woo the student vote without helping the neediest? 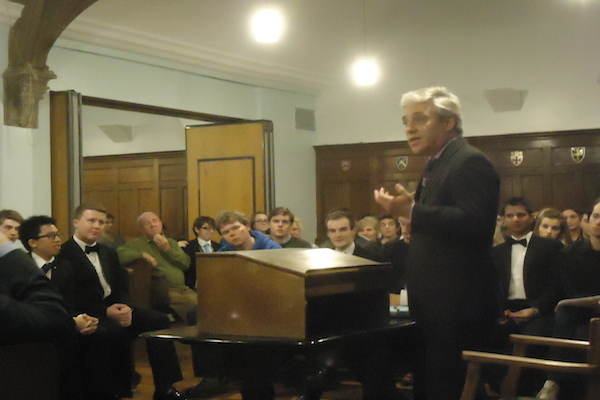 John Bercow MP, the Speaker of the House of Commons, gave a rousing address at the Durham Union Society in the first week of Michaelmas term. In front of a packed Debating Chamber with the bells of Durham Cathedral ringing outside, Mr Bercow spoke passionately about his work as Speaker and the importance of the institution of Parliament, displaying an eloquence and oratorical flair befitting of his title. He spoke of his efforts to create a “culture change” in Parliament and to make sure that it “best works for the benefit of the British people”, achieved through measures such as improving the conduct of Prime Minister’s Questions and giving greater parliamentary time to backbench business. On the frequently questioned issue of his relationship with his constituents, Mr Bercow drew a parallel with Government Ministers, saying that he could not speak in the House on their behalf but he still maintained correspondences with them and addressed their concerns. In addition to his discussions of Parliament, the Speaker drew frequent laughs from the audience with a selection of excellent impressions of famous politicians, ranging from a spot-on William Hague to an aptly haughty and powerful Margaret Thatcher. The address was then followed by a lively question and answer session, with students present doing their utmost to draw the Speaker into commenting upon party political issues. Robert, from Hatfield College, asked Mr Bercow which party he thought was the worst behaved in Parliament. Responding even-handedly, the Speaker said that all the parties were as bad as each other but that female MPs were certainly the best behaved. Dermot, from University College, questioned Mr Bercow on whether he thought he would be calling more UKIP MPs to speak in the House after the next general election. The Speaker commended the ingenuity of the question but responded frankly and said that he did not. On the question of the media, the Speaker admitted that he took very little notice of what was written about him in the papers, but that he enjoyed reading parliamentary sketches. Mr Bercow also spoke combatively in defence of his wife, Sally, acknowledging that she was a controversial figure in the Tory press but he said that she had every right to express her own views. The Speaker was thanked with rapturous applause at the end of his speech and signed autographs for attendees. 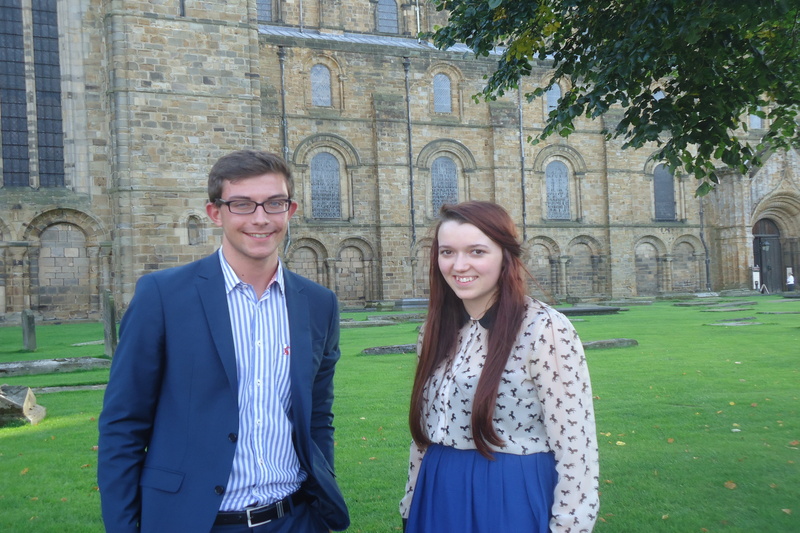 Meet Thomas Nearney and Katie Corrigan, the fresh faces of the Labour Party in Durham. Elected to the County Council in May earlier this year, they are Durham’s youngest political representatives and are already hard at work serving the local community. Fresh from meetings at County Hall that day, we sit together drinking coffee in Chapters Tearoom as glorious autumnal sunshine bathes Elvet Bridge outside. We chat about politics and Thomas, who went to St Bede’s School in Lanchester and is now entering his 2nd year studying Law at St Mary’s College, starts animatedly on his work as a councillor in his ward, Annfield Plain. ‘You never find yourself doing the same job twice,’ he says grinning, ‘which has its benefits and its drawbacks. Katie, who studied at St Leonard’s Catholic School in Durham and has just finished a degree in Sociology and Politics at Sunderland University, represents the Belmont ward and nods in agreement. But what inspired them to go into politics in the first place? And why Labour? Katie needs no time to think. ‘I’m Labour because my family has always been Labour. Thomas takes up the theme. ‘For me, my values are Labour values. I believe wholeheartedly in people working together and in fairness. He also speaks passionately about the educational opportunities he feels he received as a result of his party’s work. ‘To be honest,’ he confides, ‘I’m the first person in my family to go to university.’ Katie nods too. Working for Durham County Council puts Thomas and Katie at the heart of an organisation that has annual revenues of over £1 billion and employs around 18,500 people. Yet they have come into power at a difficult financial time for the Council, a reality Thomas sees every day in his work. ‘The financial pressures we’re under now are enormous,’ he explains. ‘£200 million is being cut from the budget by 2015 due to the reduction in funding from central government. ‘‘This is the one big downside of our work. It’s fantastic to be able to make a difference in your community, but we also have to make savings whilst fulfilling our statutory duties. Despite the difficult decisions they need to make, Thomas says he can still take heart from the actions of the Labour Party in County Durham. Locally, Labour will have control of the Council until 2017, but there’s certainly no mood of complacency in the party ranks. Katie and Thomas already have their eyes set on campaigning for the elections to the European Parliament next year and the general election in 2015. ‘Sometimes in the North-East people think,“It’s a Labour safe seat, there’s no point in campaigning there”, but I don’t think we take anything for granted,’ Thomas says. Such campaigning will look to draw upon the energies of young people in Durham City. How politically engaged are the youth in this region? Katie is optimistic. ‘I think Durham has got good youth participation. I’m involved with County Durham Labour and we campaign everywhere. With politics clearly in the blood, my final question is about long-term plans. Is this the career for them? Whatever they choose to do, Councillors Corrigan and Nearney clearly have bright political futures ahead of them and the constituents of County Durham are in safe hands. Watch this space. LABOUR has announced its shortlist of candidates to contest the European Parliament elections in the North-East next year. Four candidates have been included on the shortlist to contest the three seats available in the region. They include Coun Nick Wallis, who has been a Darlington Borough Councillor since 1991 and is currently the authority’s Cabinet Member for Leisure and Local Environment. Jayne Shotton, from North Shields, has previously served as a Labour Councillor in North Tyneside for six years for the Camperdown ward. Judith Kirton-Darling, who comes from Middlesborough, is the Confederal Secretary of the European TUC. She has worked within the trade union movement on European issues during the last ten years. 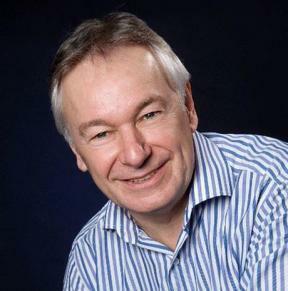 Paul Brannen is a former Councillor for the Westerhope Ward of Newcastle City Council and contested the Berwick-upon-Tweed seat for Labour in the 1997 General Election. A ballot of local party members will be held to decide the ordering of the candidates on the party list, with a vote expected in June. The North-East currently has three MEPs, one from each of Labour, the Liberal Democrats and the Conservatives. However Labour’s incumbent MEP, Stephen Hughes, is standing down after 20 years in the position. LABOUR will select its candidate to defend the upcoming South Shields by-election on Wednesday. The party has announced a short-list of four candidates to fight the seat left vacant by the resignation of former Foreign Secretary David Miliband. The candidates are Lewis Atkinson, an NHS worker from South Shields, Emma Lewell-Buck, a social worker and South Tyneside Councillor for Primrose Ward, Coun Mark Walsh, the member for Horsley Hill Ward, and Paul Williams, a doctor and GP Commissioner from Stockton. Local party members will decide the final selection at a constituency meeting on Wednesday evening. An official date for the by-election is yet to be announced although it could take place as early as May 2 to coincide with local government elections. UKIP today announced their candidate for the upcoming by-election, selecting 62-year-old former primary school teacher Richard Elvin to contest the seat. Mr Elvin, from Hetton-le-Hole, said: “I am delighted to be selected. To have the chance to fight to represent the people of South Shields is an honour. “Unlike previous politicians who were parachuted in to a safe seat in order to get into cabinet, my focus and drive is to serve the local area”. The news came as Labour launched their local election campaign in the North East with Jack Dromey MP, Shadow Communities and Local Government Minister, visiting key target councils in North Tyneside and Northumberland.